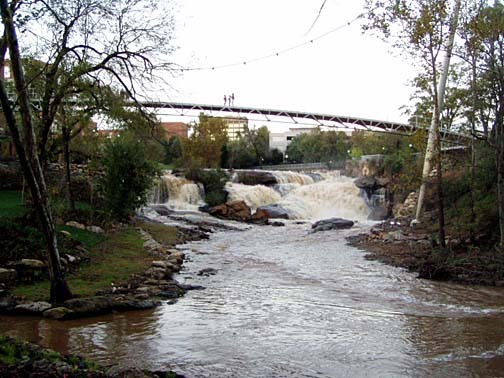 Reedy River Falls sits just off Main Street in downtown Greenville. 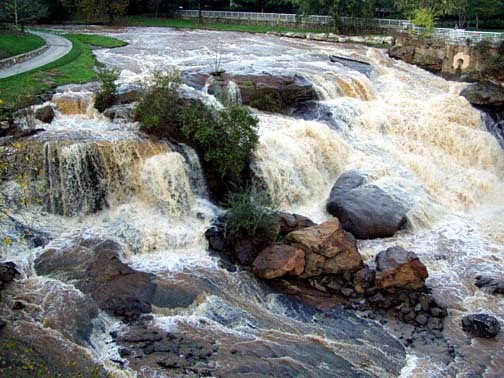 The falls were the site of one of the earliest mills in the upstate of South Carolina. For many years, Camperdown Way bridge sat in the middle of the falls, spoiling what was otherwise an awesome view of the falls. 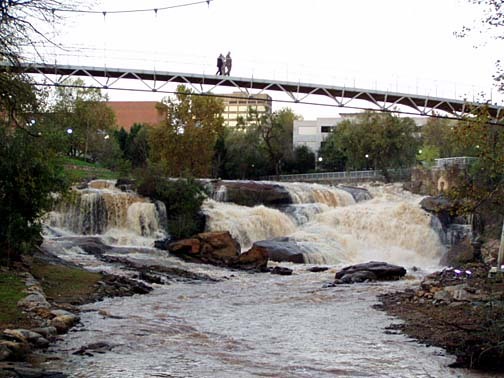 However, in an effort to revamp downtown Greenville and feature its natural beauty, the highway bridge was removed. 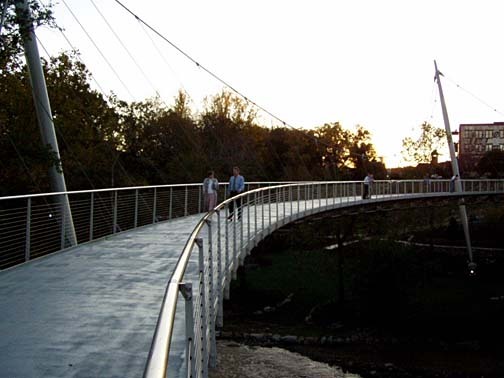 A new pedestrian suspension bridge (named the Liberty Bridge) sits over the falls. 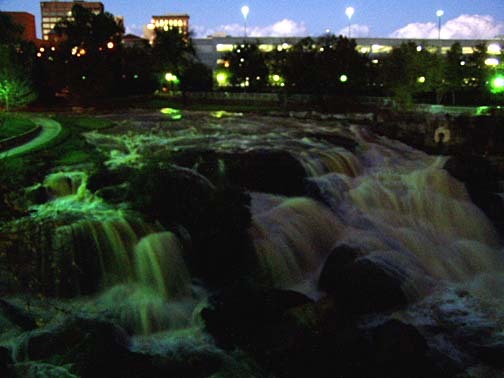 This new bridge accents the falls but does not spoil the view. 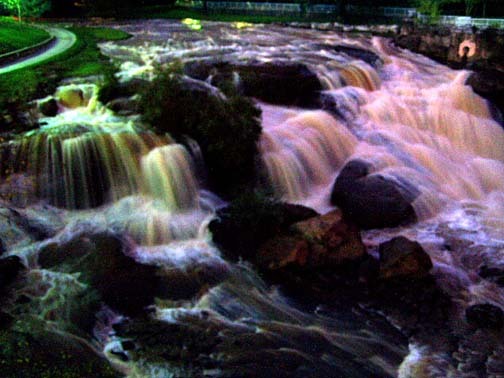 In fact, it adds to the overall beauty of Reedy River Falls and the new park.